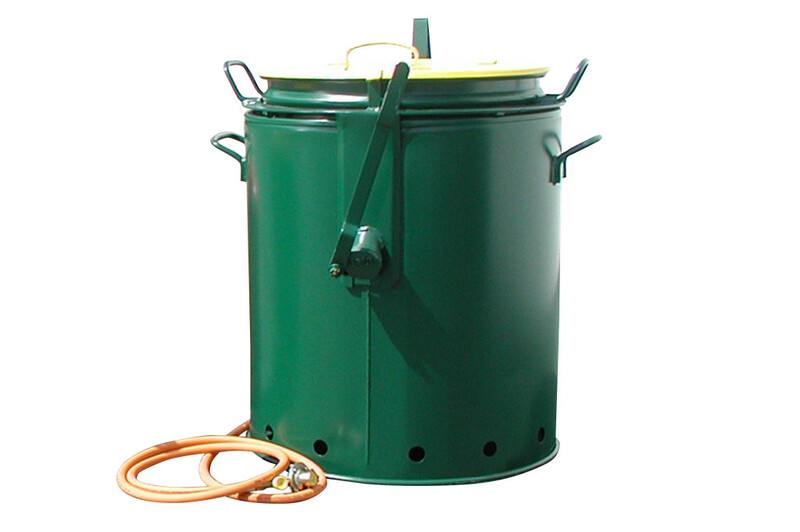 High-performance small bitumen boilers with removable tub. 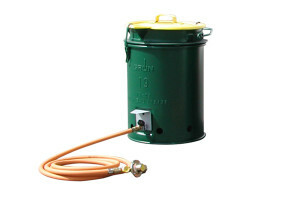 Heating is by means of a windshielded propane vortex beam burner. 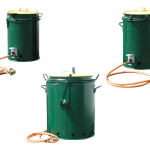 Construction and fitting comply with the regulations of the German Bau-Berufsgenossenschaft (construction liability insurance). 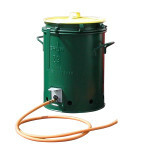 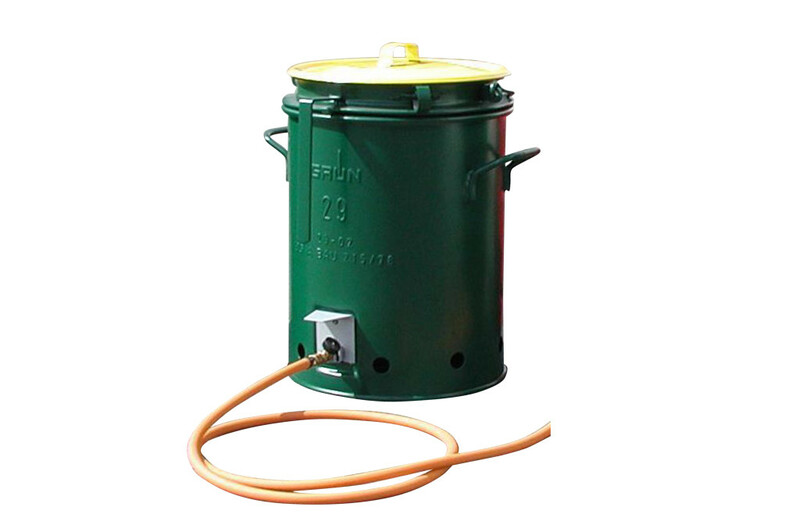 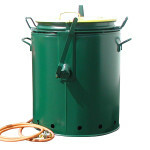 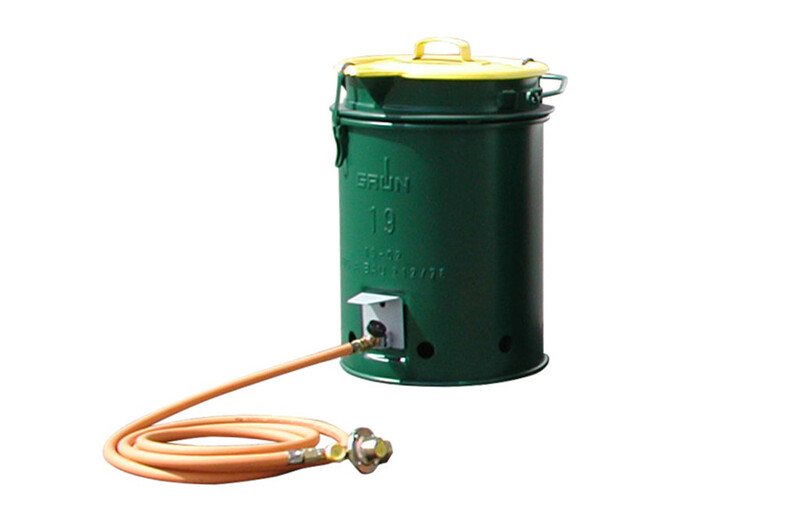 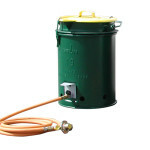 With the boiler types 19 and 29 the tub can be easily pulled out and used as a bucket. 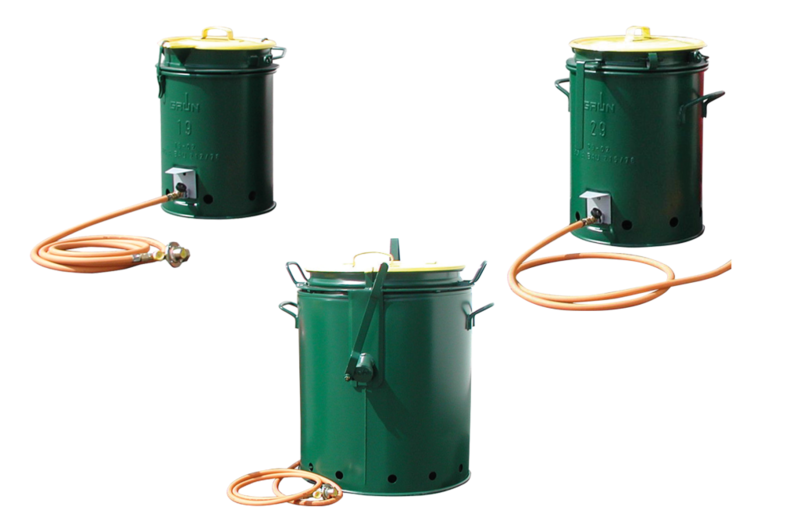 The equipment of the bitumen boiler 49 includes a lockable hinged lid, lackable drain cook, double jacket insulation and, on request, a dial thermometer for temperature control.